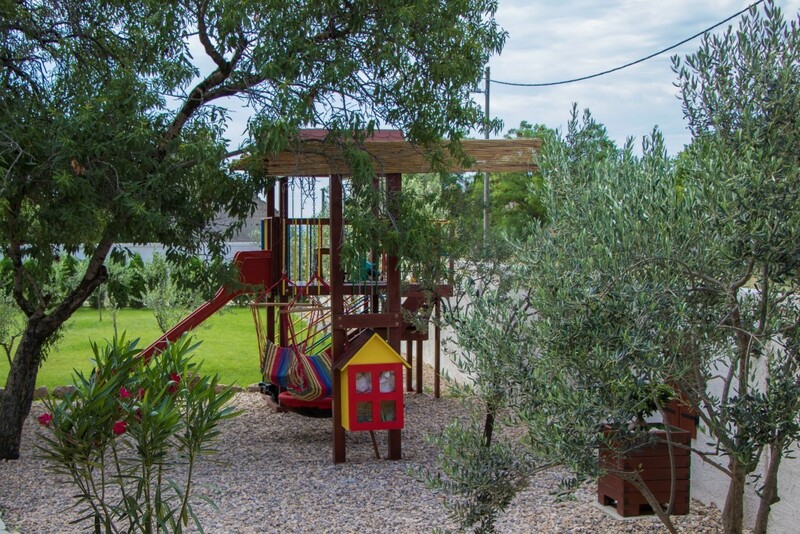 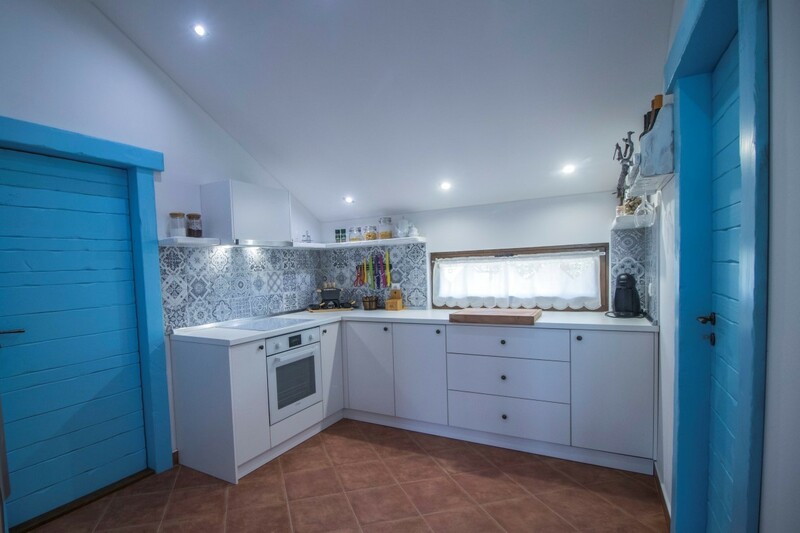 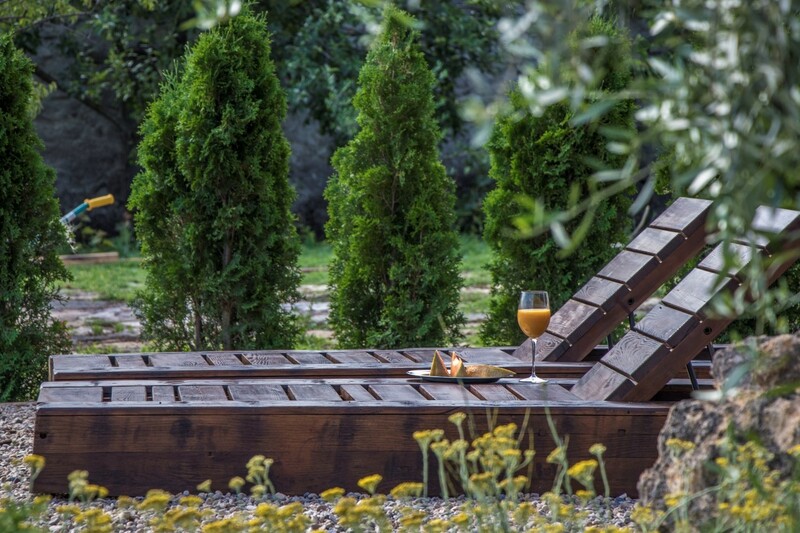 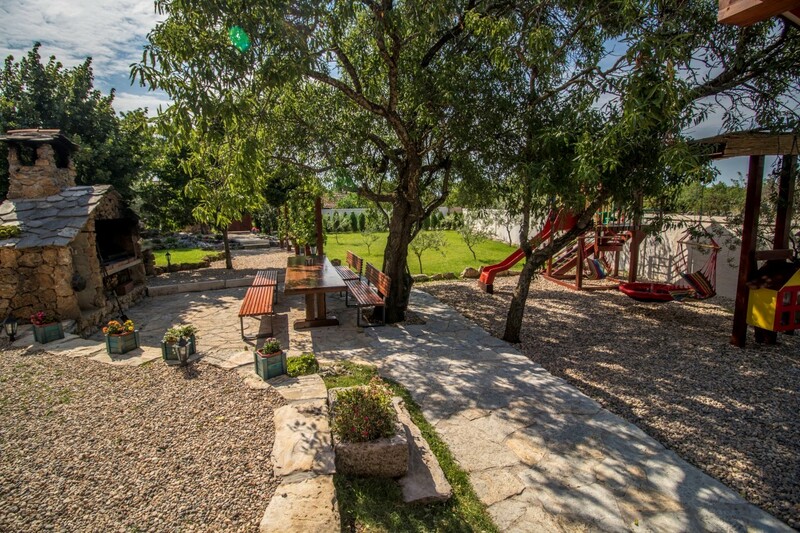 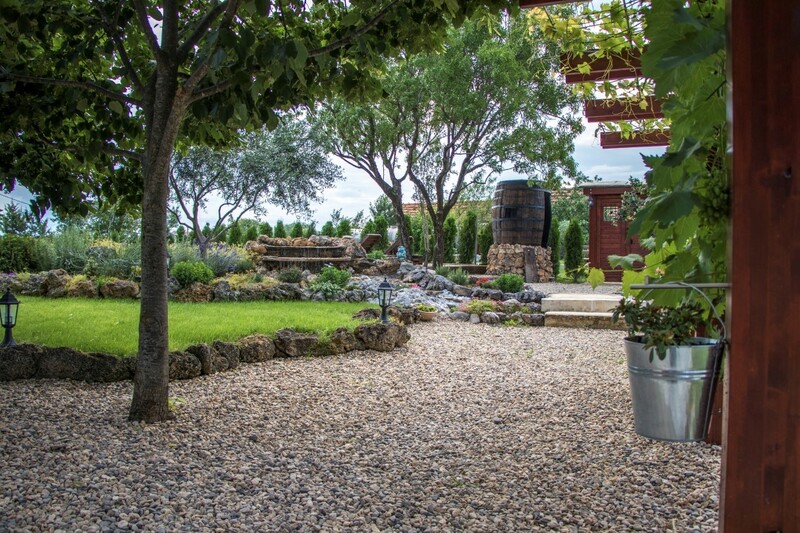 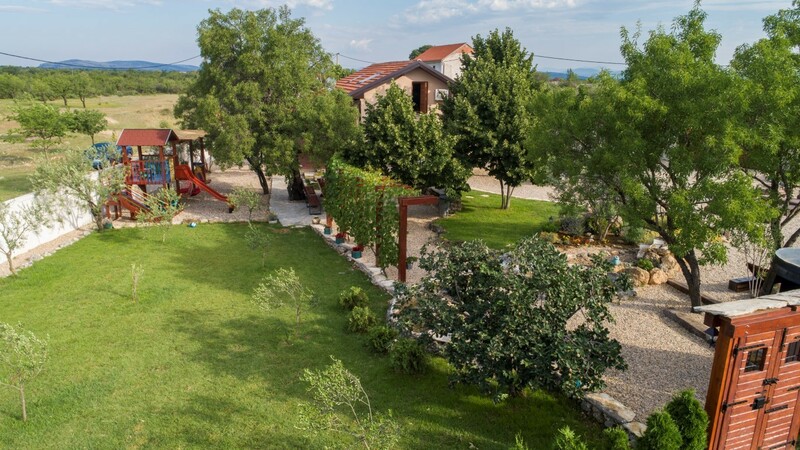 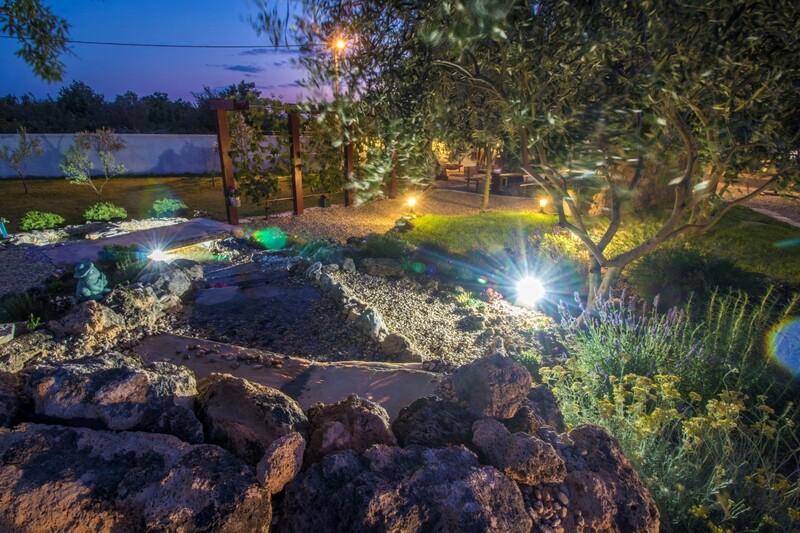 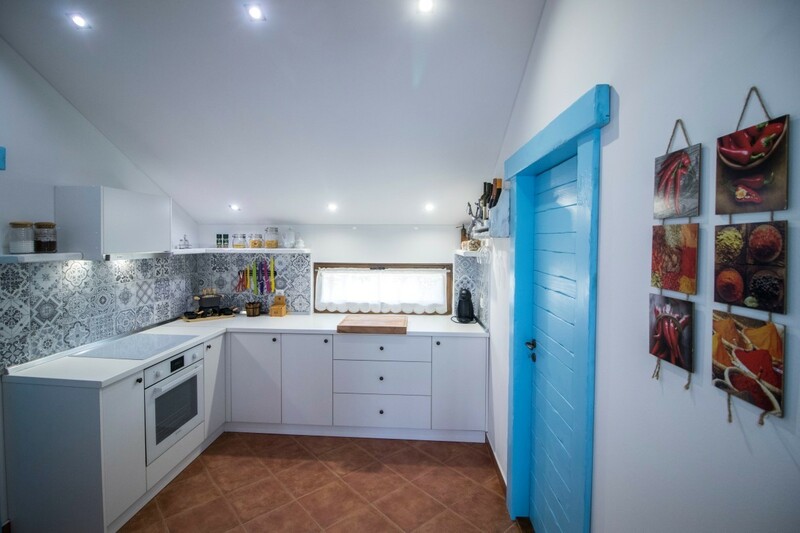 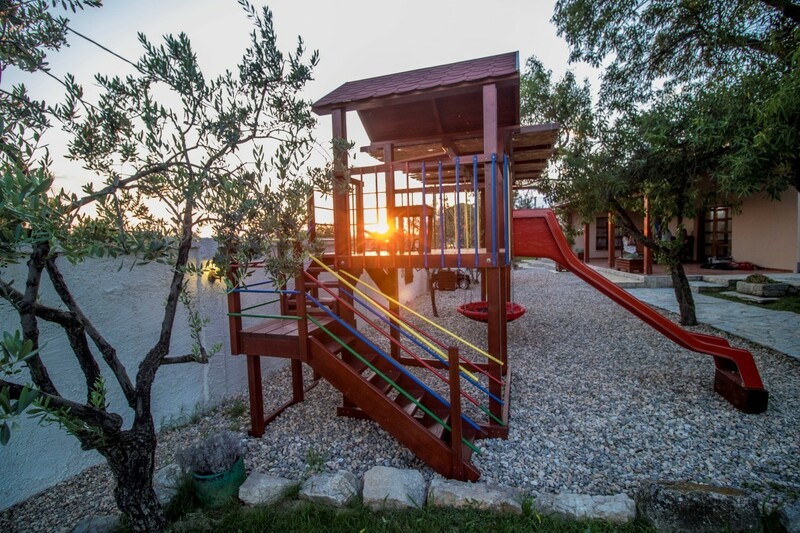 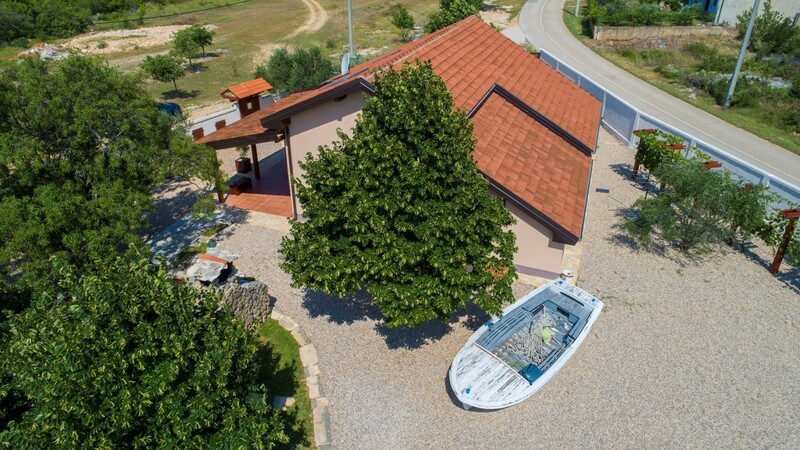 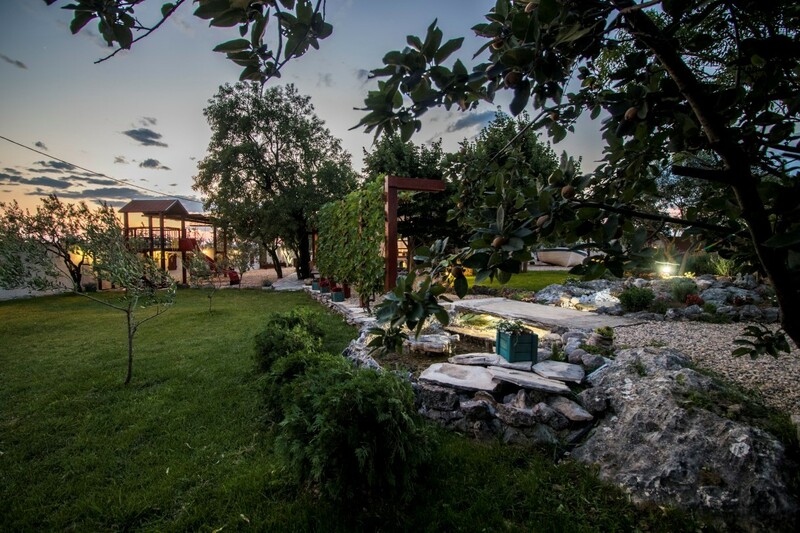 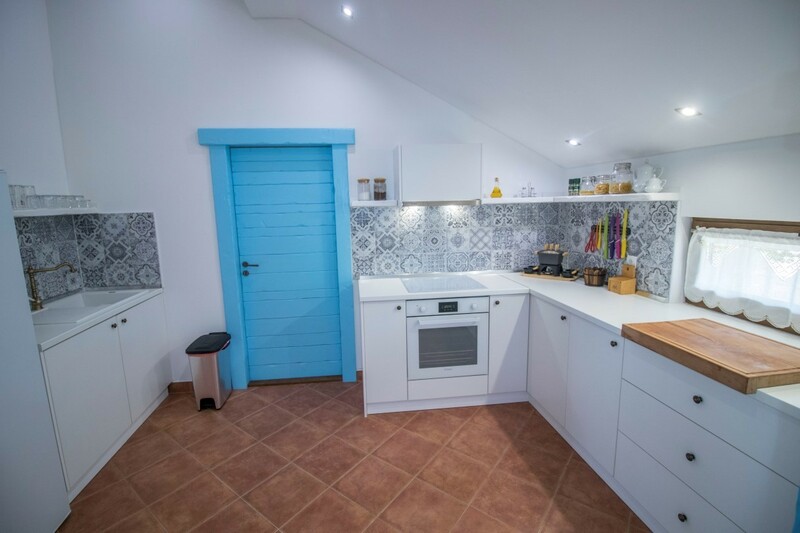 Welcome to the villa NI-SA - an oasis of peace and untouched nature among the Mediterranean plants in the heart of the small village Smrdelje located 15 km away from the romantic and historic city of Skradin. 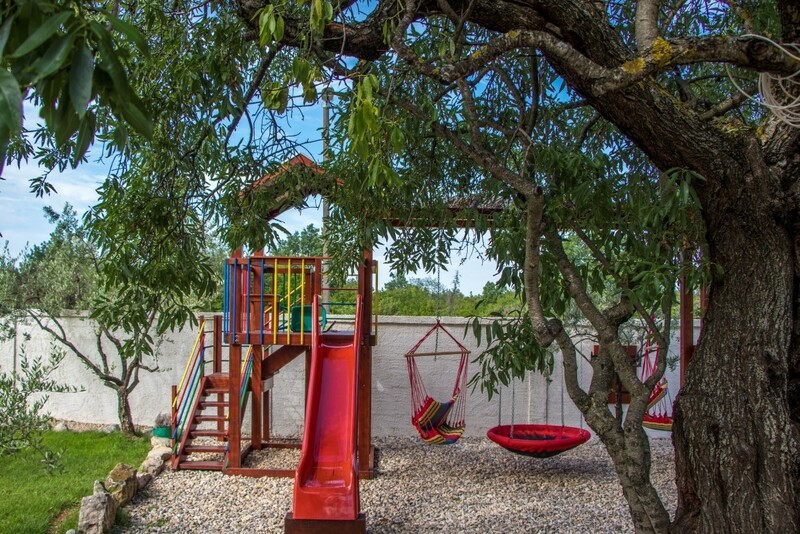 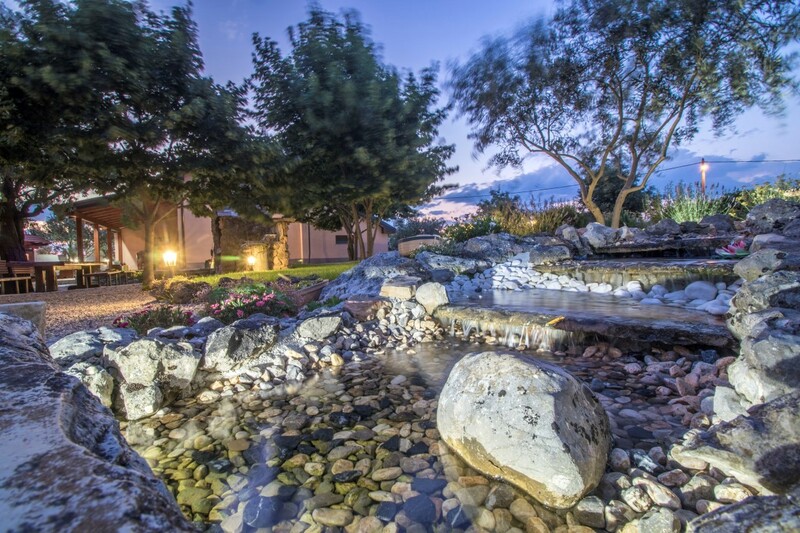 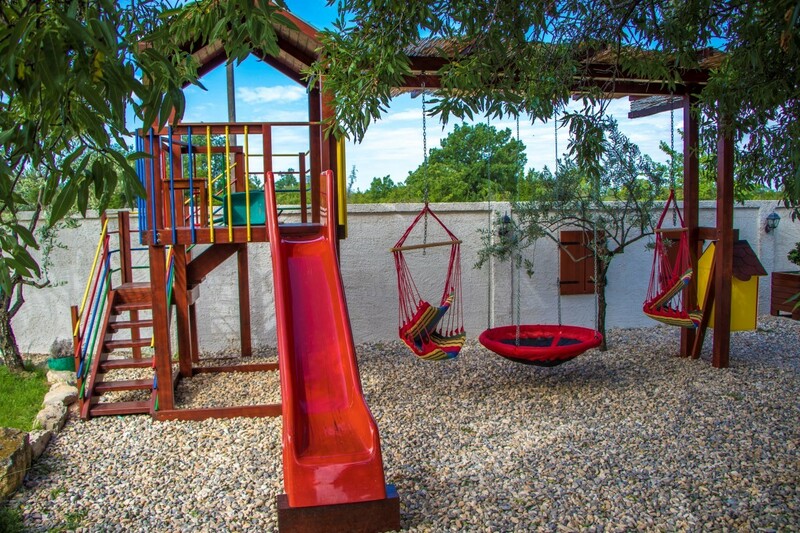 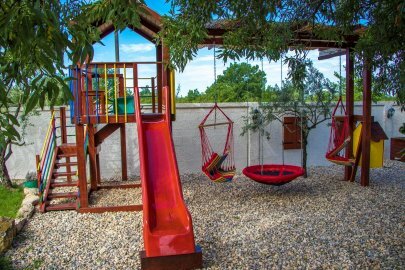 This family villa will delight you at the first glance with a lot of greenery, a private pool, children’s playground, several seating areas and enjoyment ... 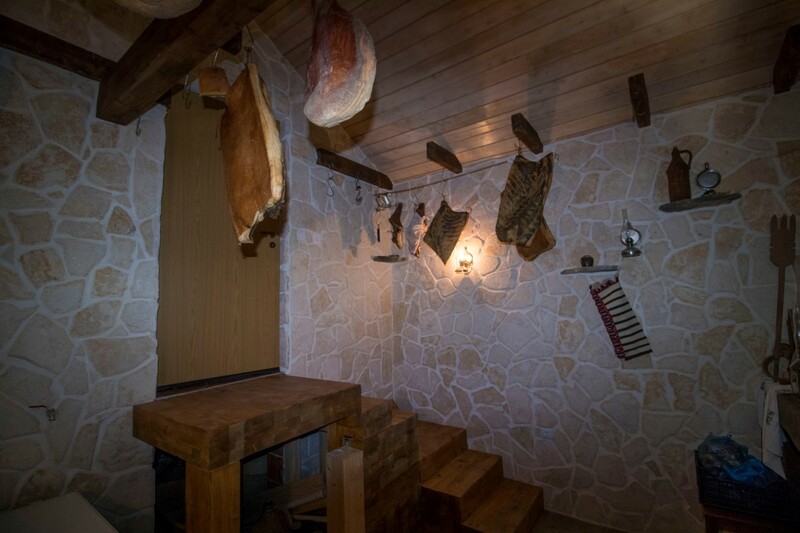 But that's not all! 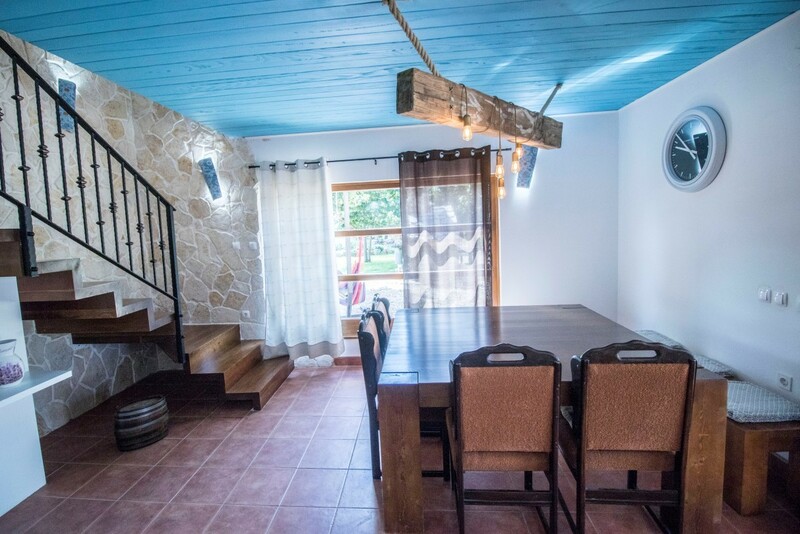 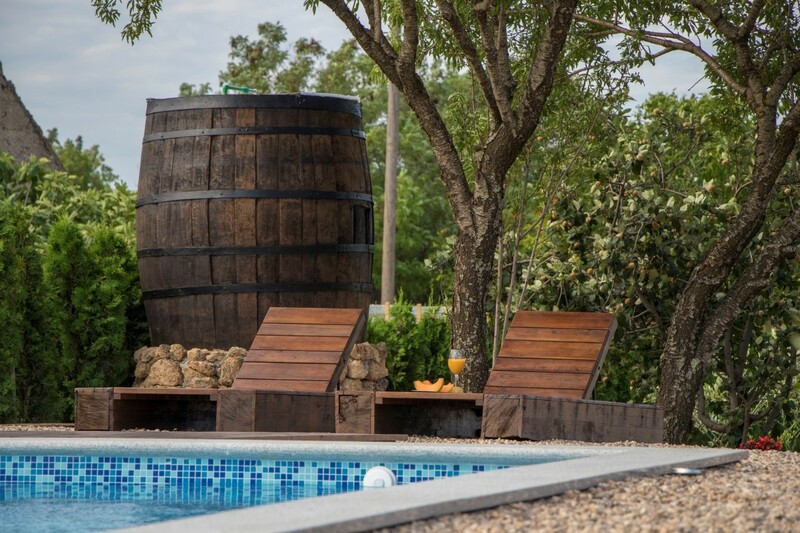 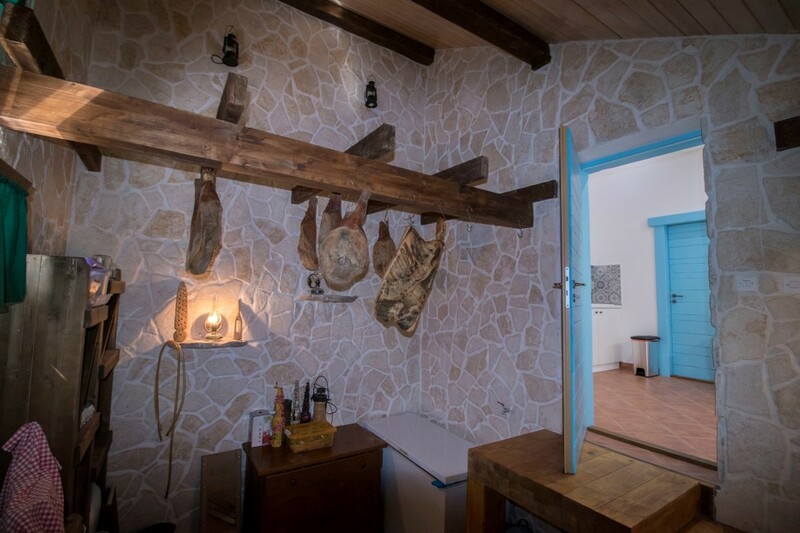 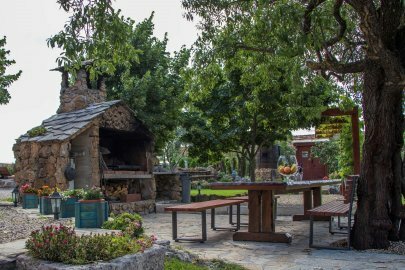 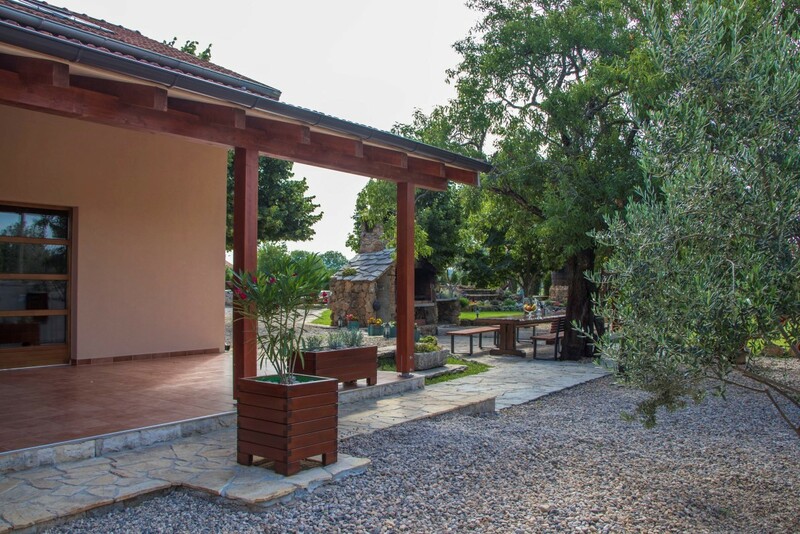 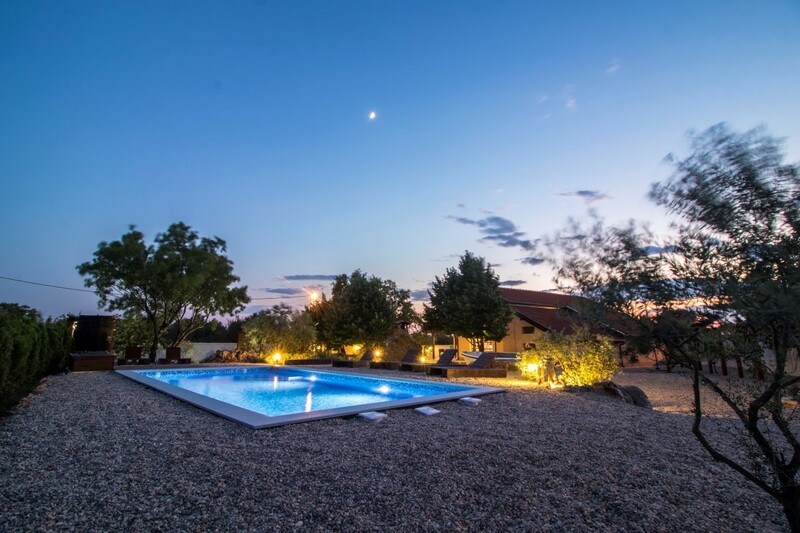 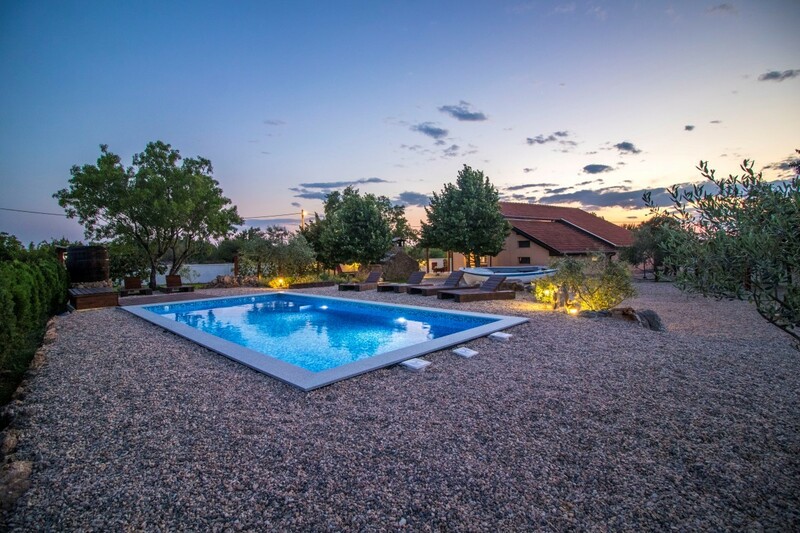 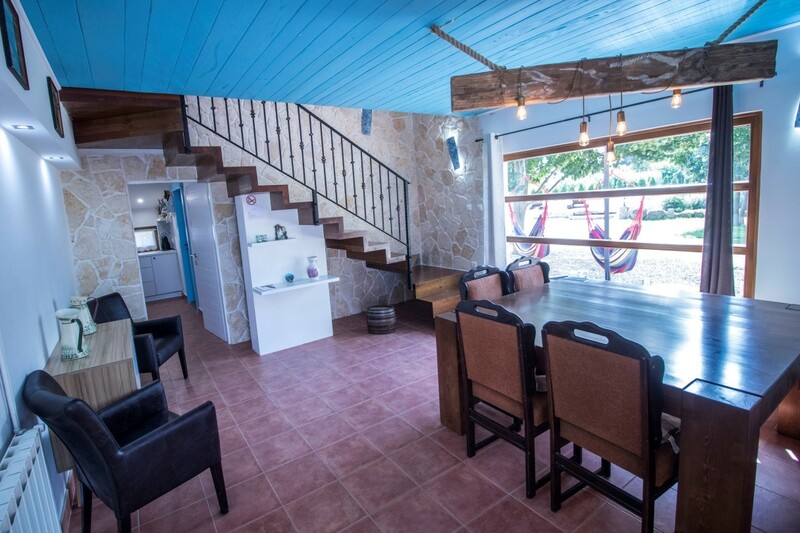 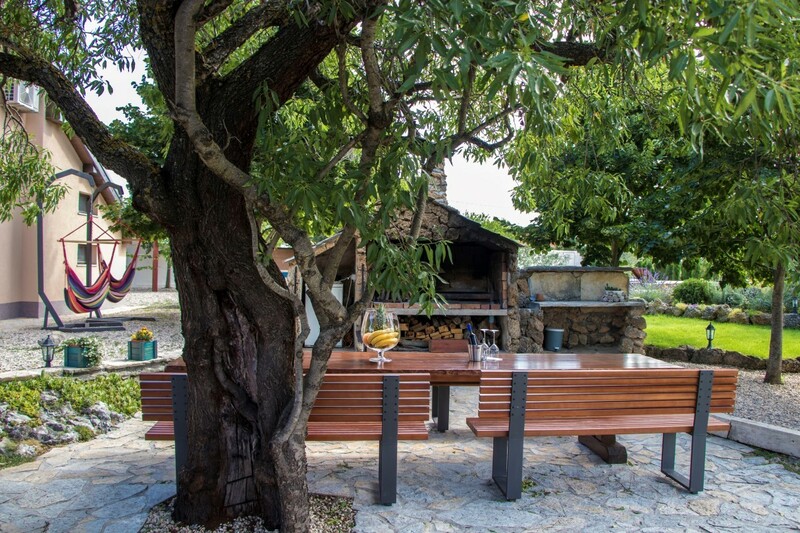 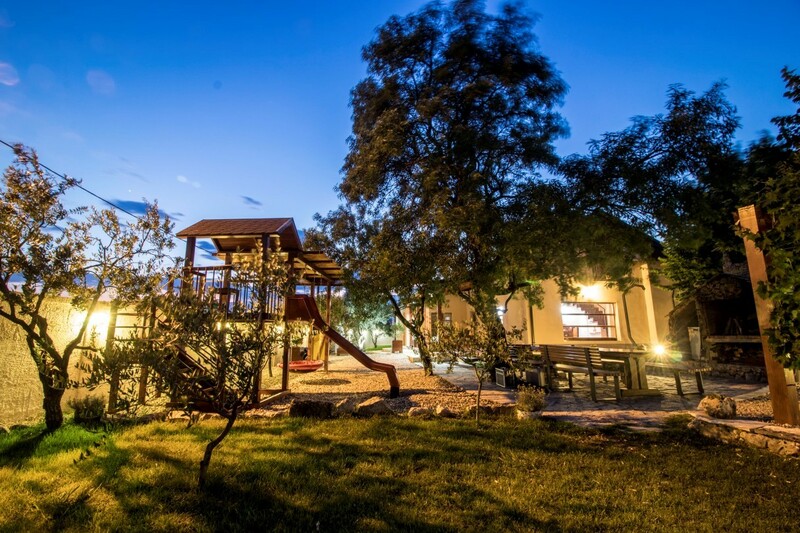 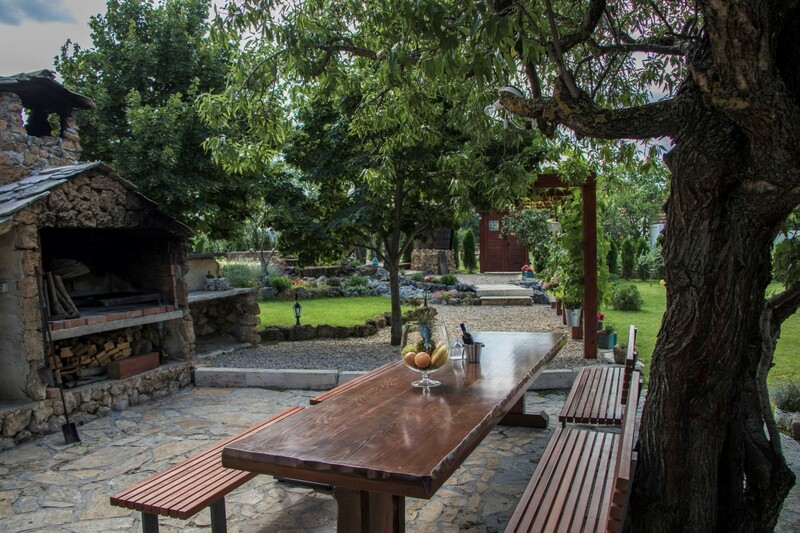 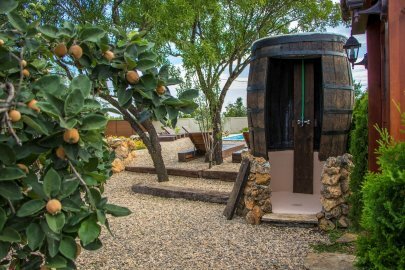 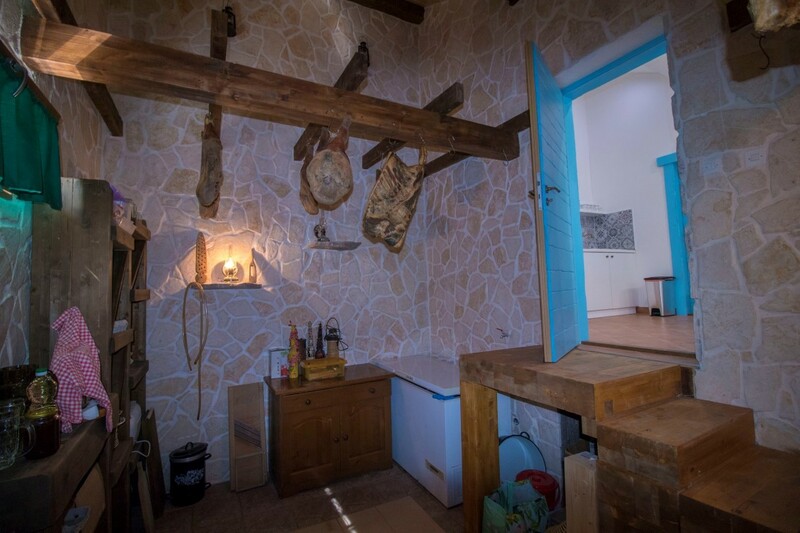 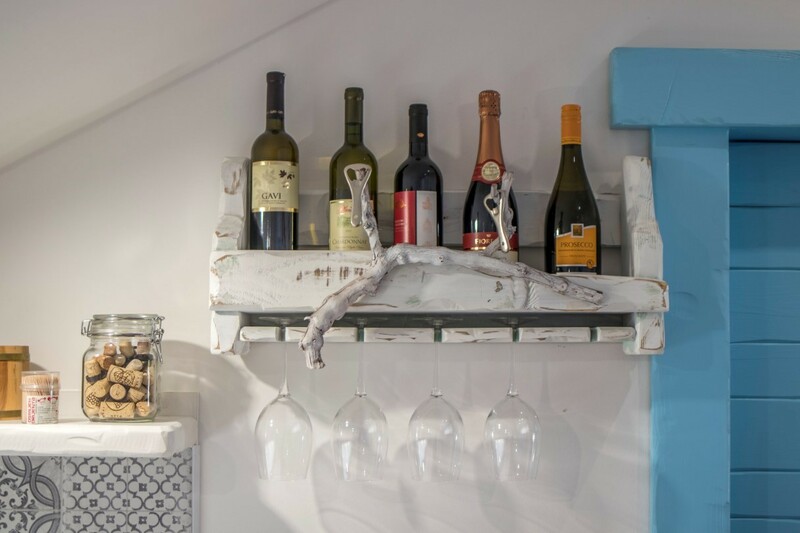 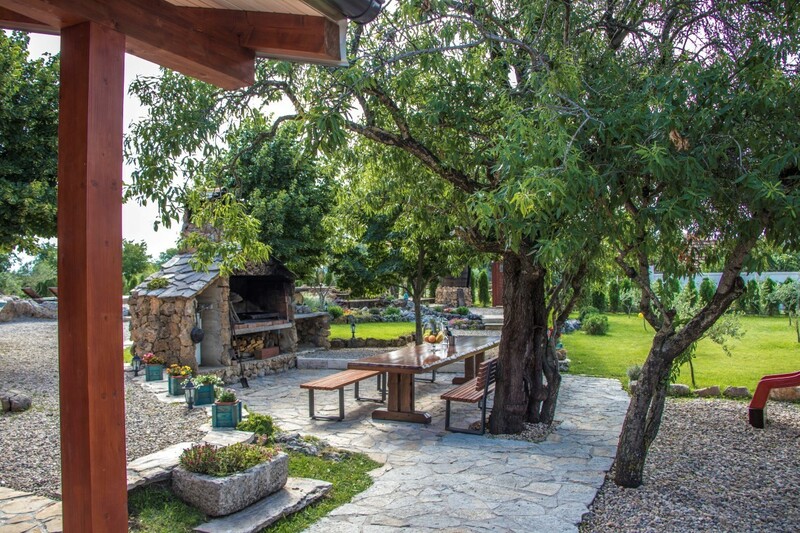 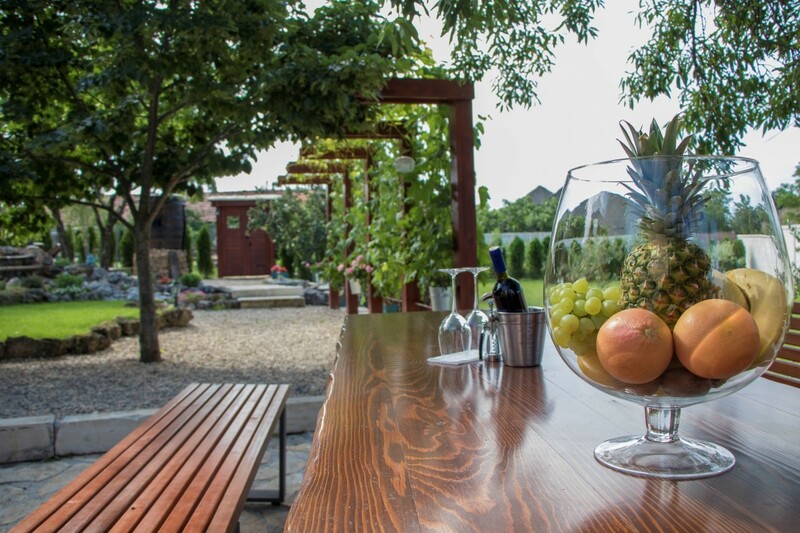 Beautiful villa NI-SA has a wine cellar and a Dalmatian tavern where guests can serve local wine and domestic food for extra cost. 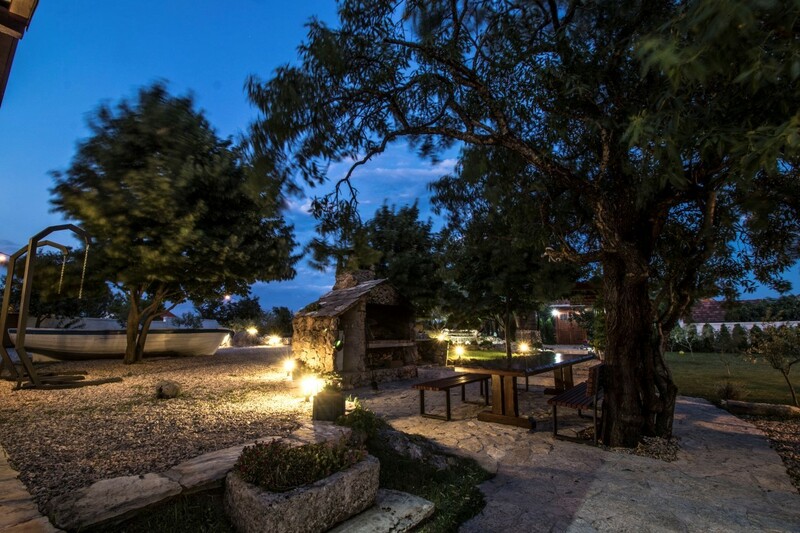 The charming villa NI-SA can accommodate up to 11 guests and consists of two separate units so that guests can also have privacy within the villa. 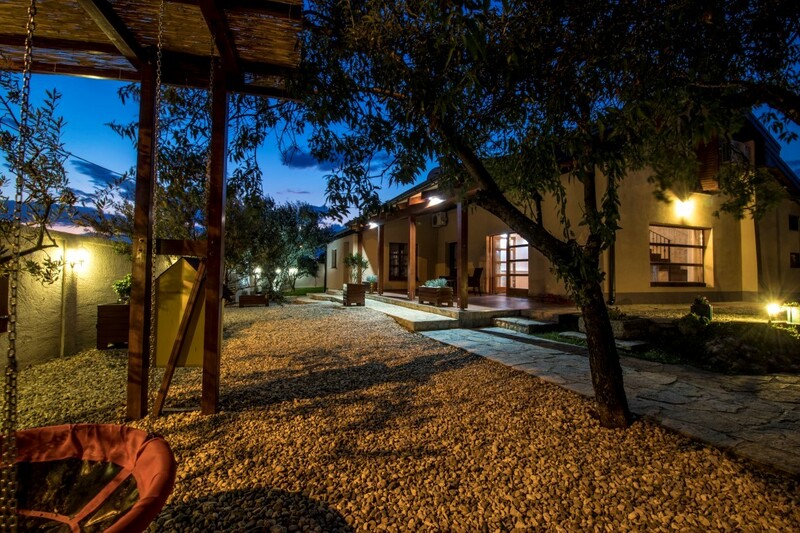 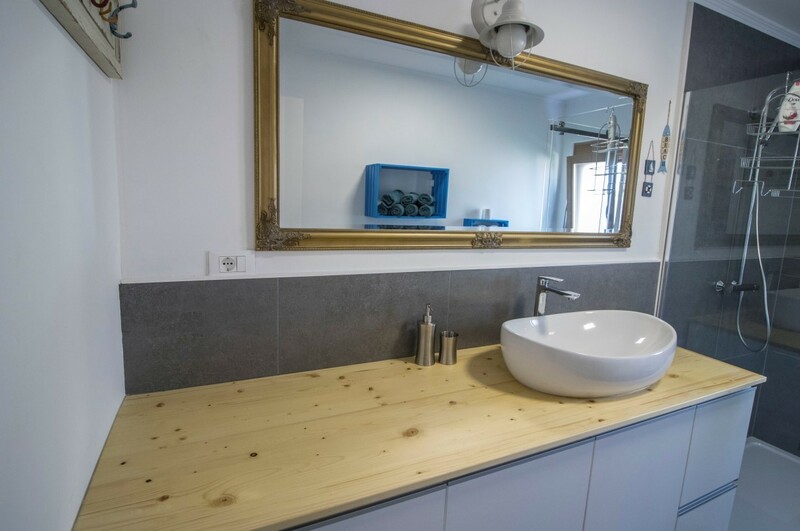 The lovely villa has been thoughtfully and lovingly renovated and refurbished. 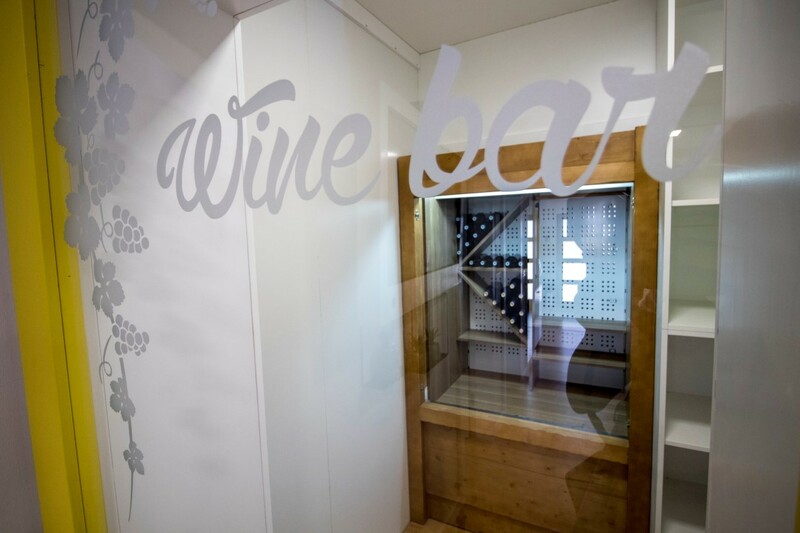 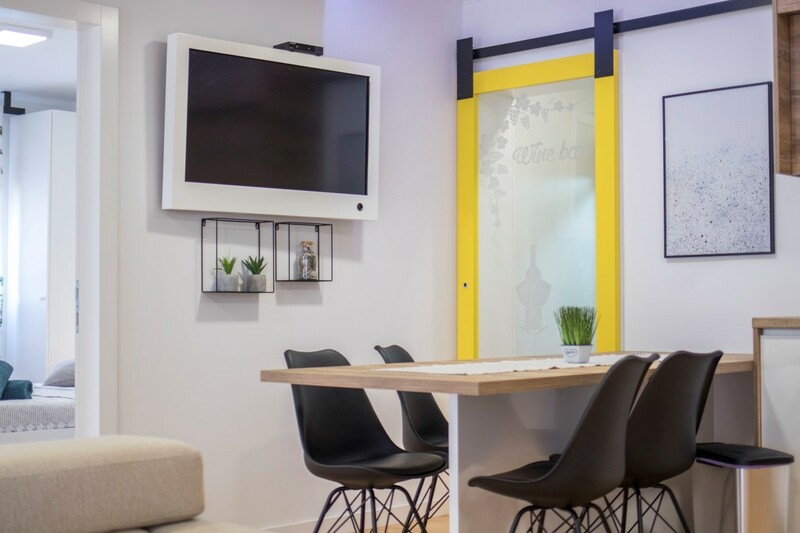 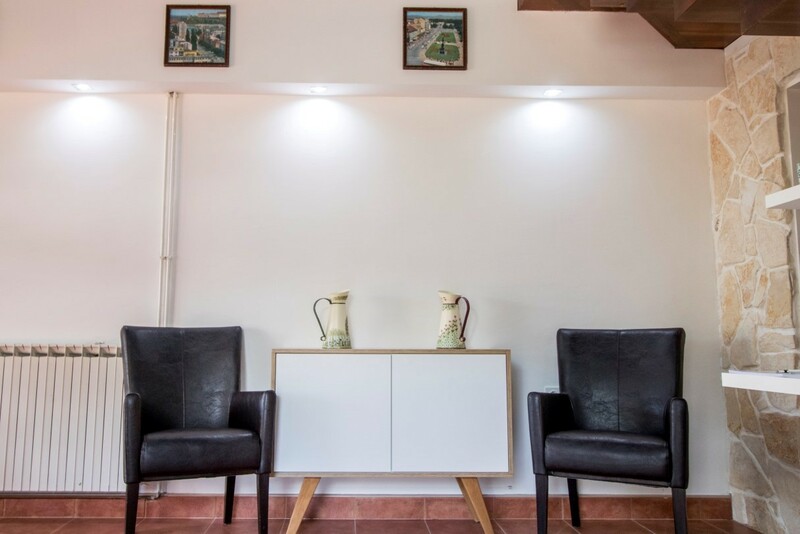 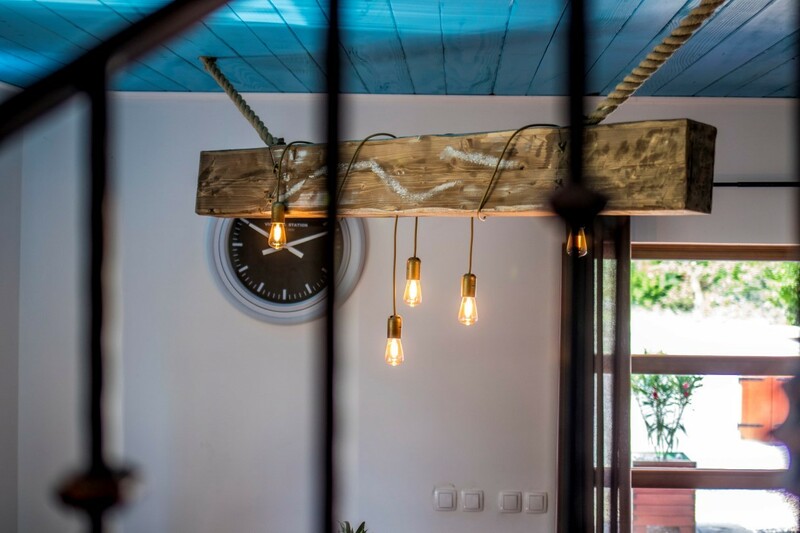 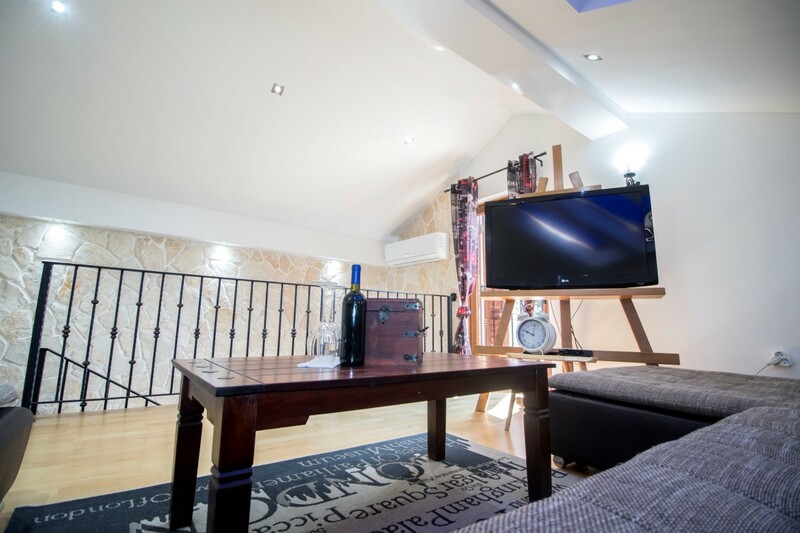 The interiors are as beautiful as the outside area, boasting elegant furnishings and maintaining a relaxed design with a homely and relaxed feel throughout. 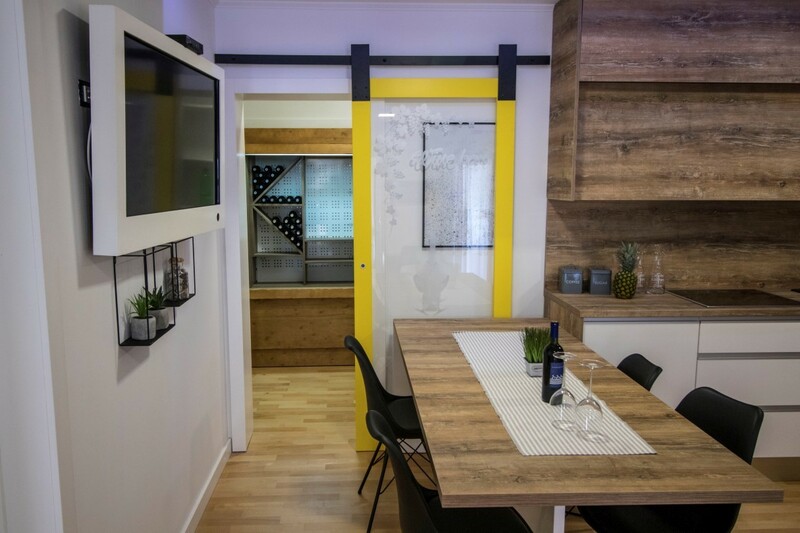 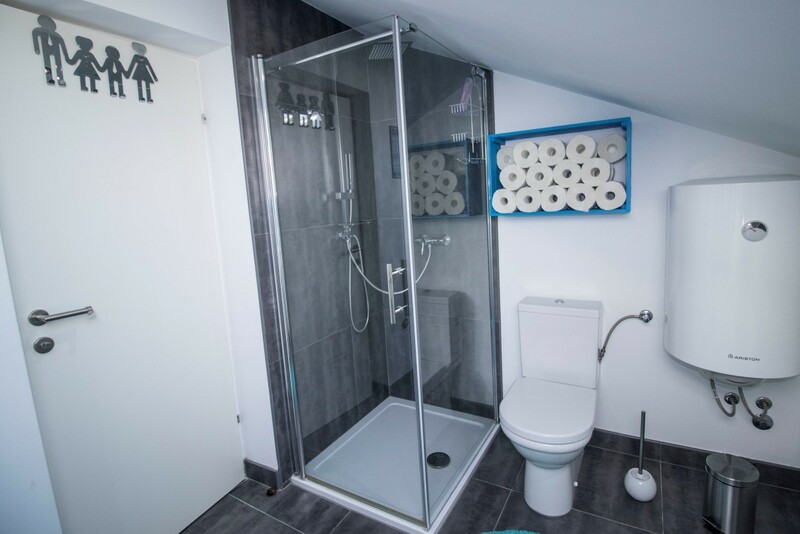 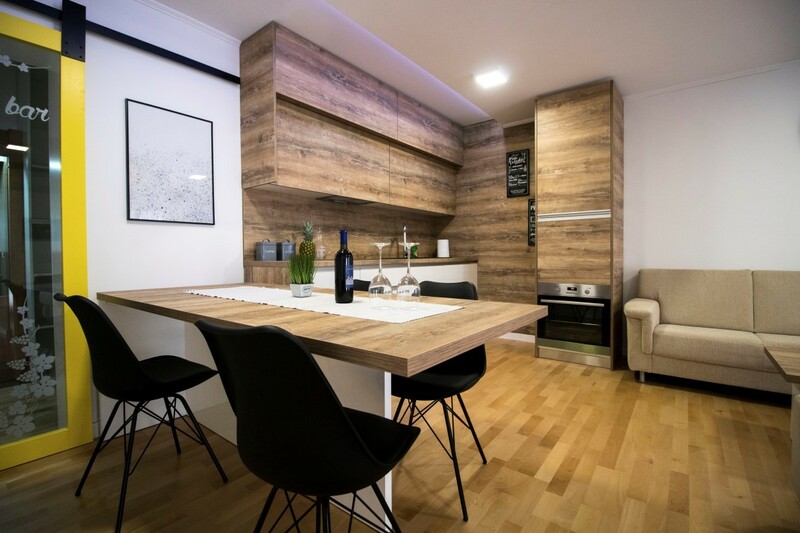 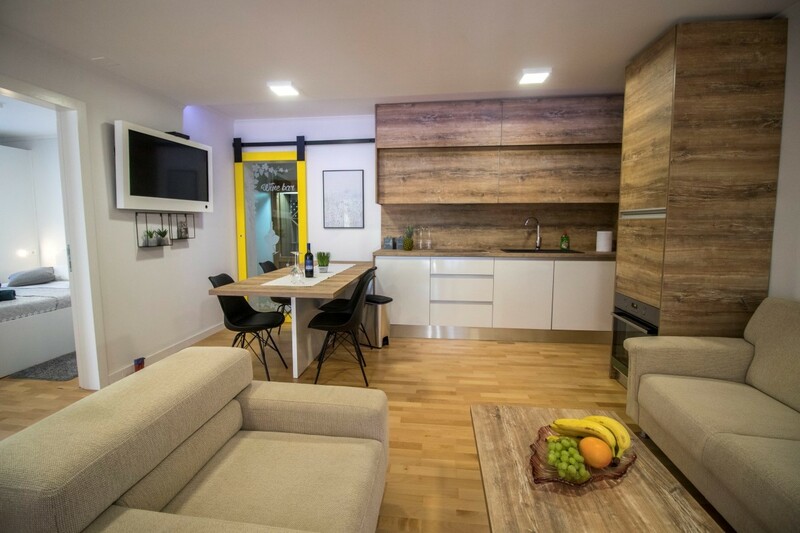 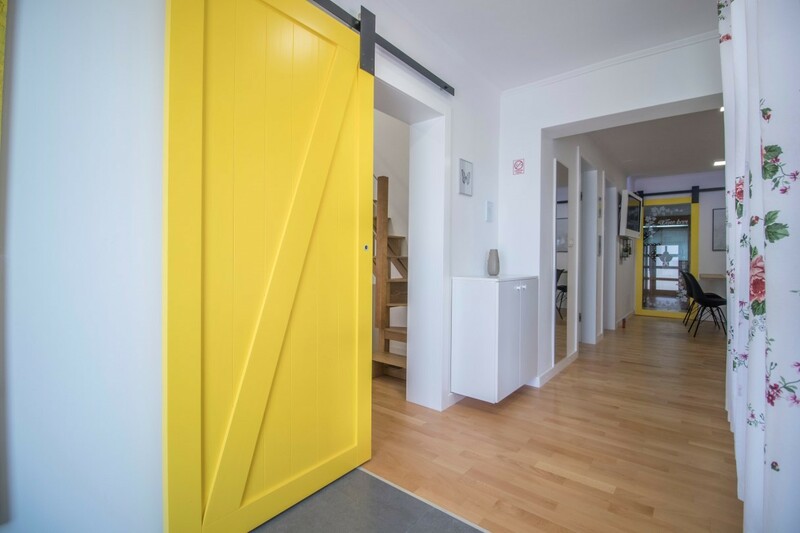 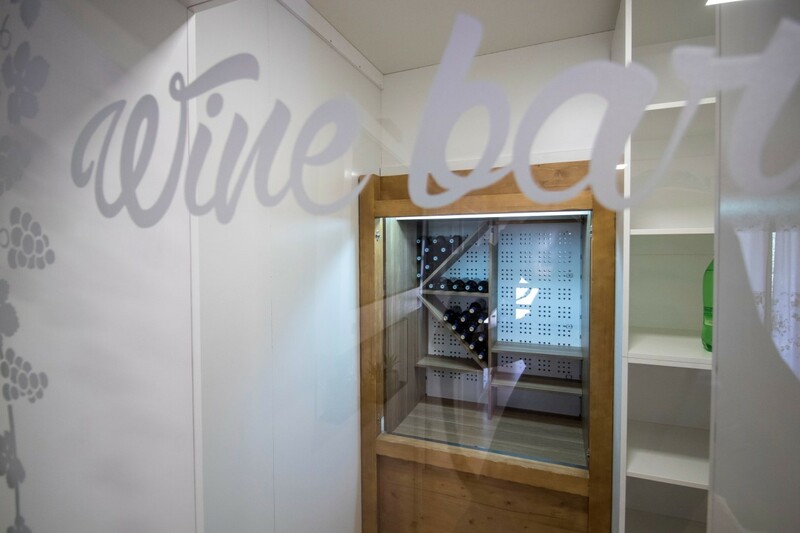 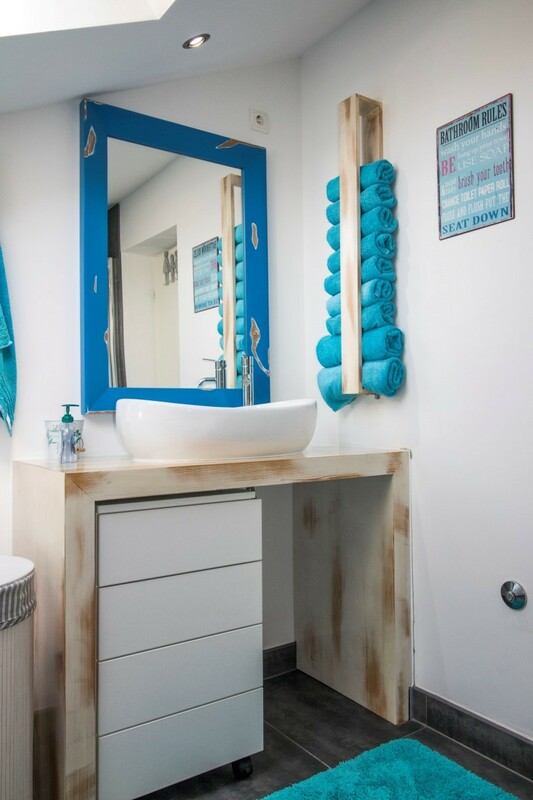 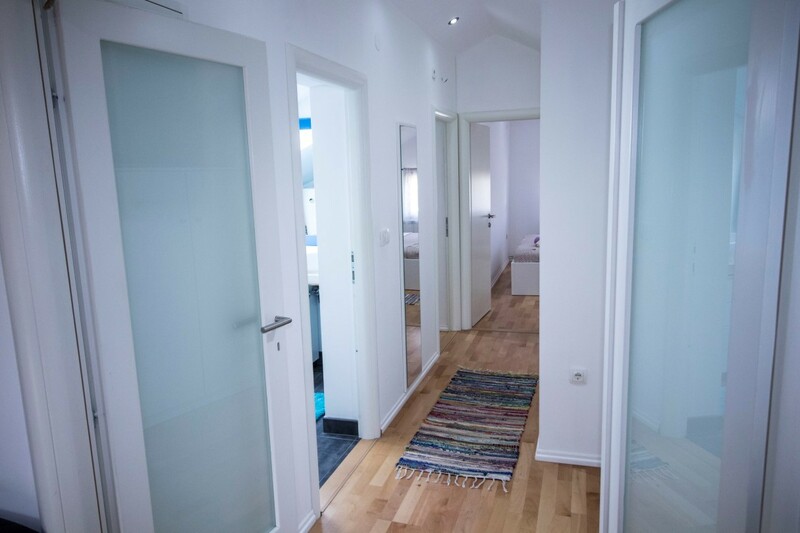 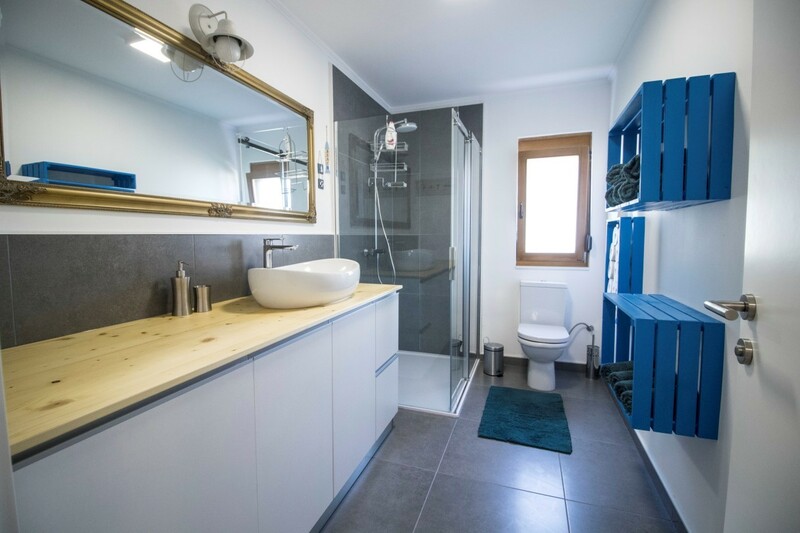 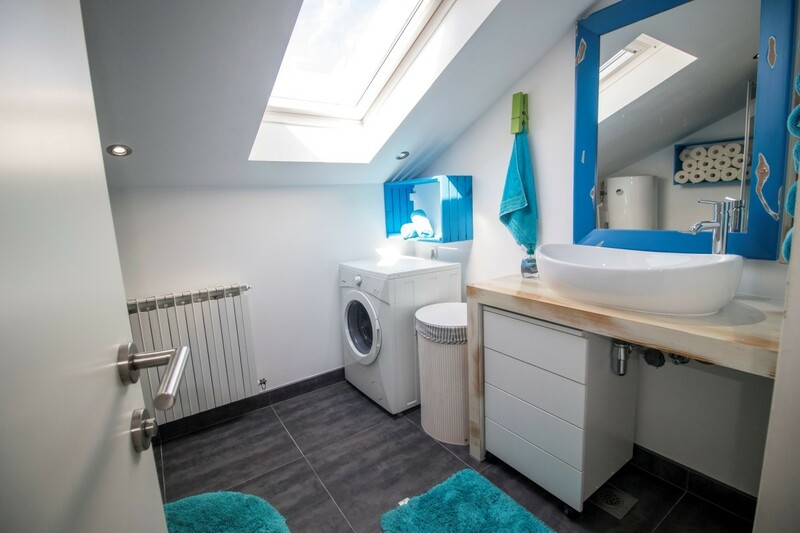 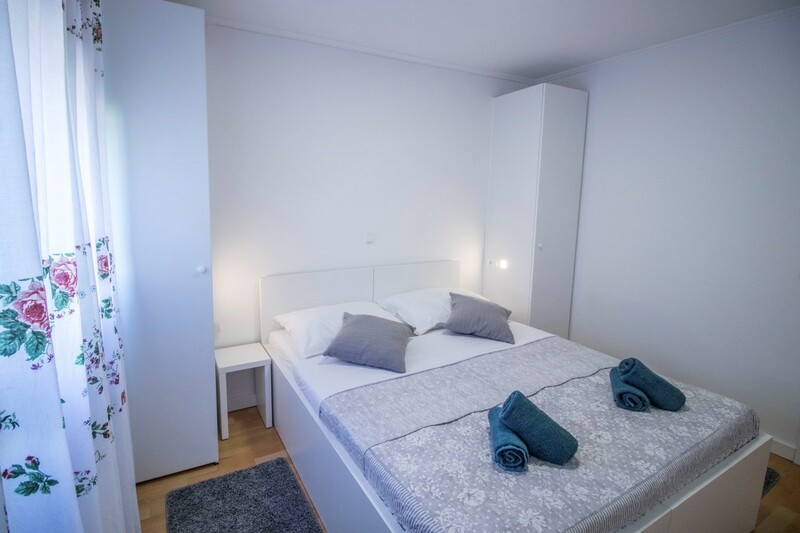 Each unit consists of two spacious bedrooms, a fully equipped kitchen, living area and one bathroom. 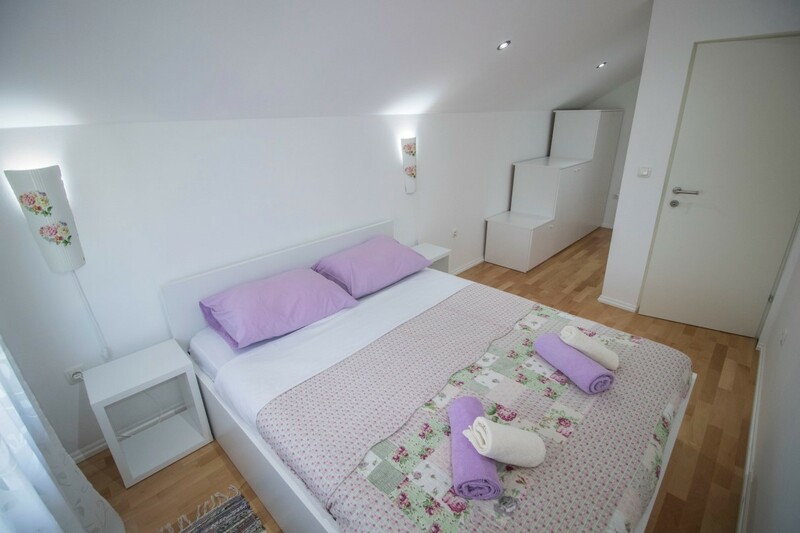 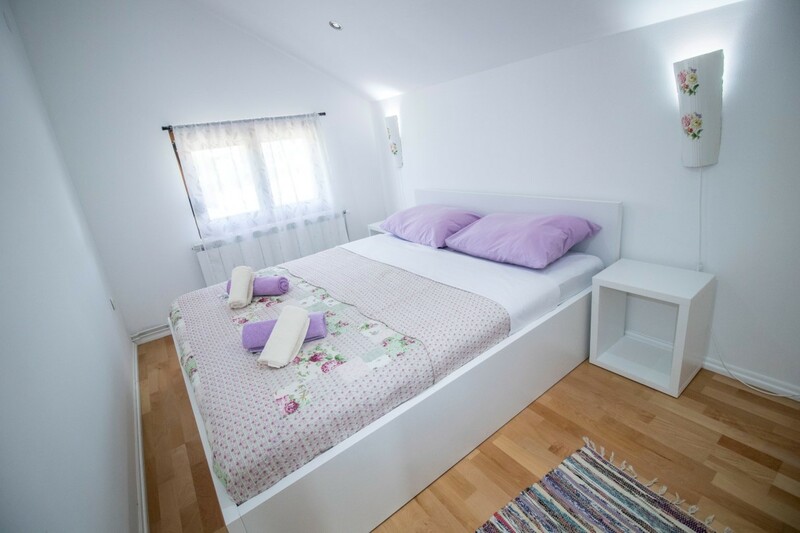 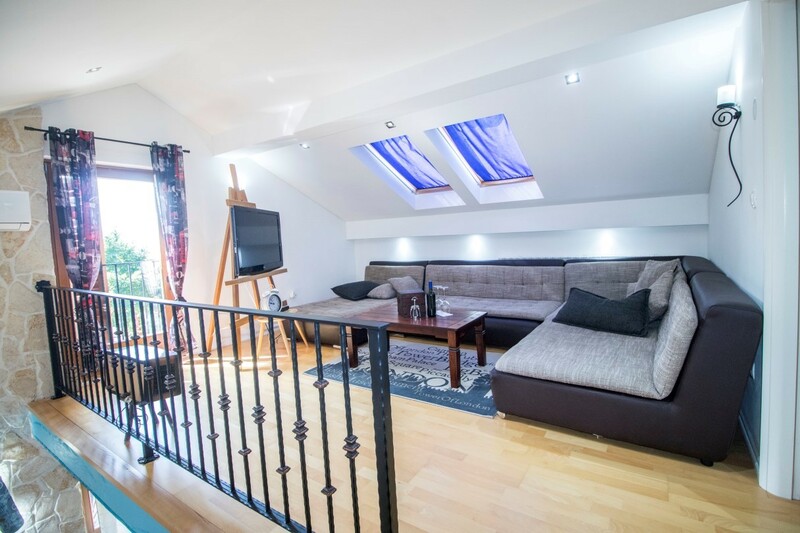 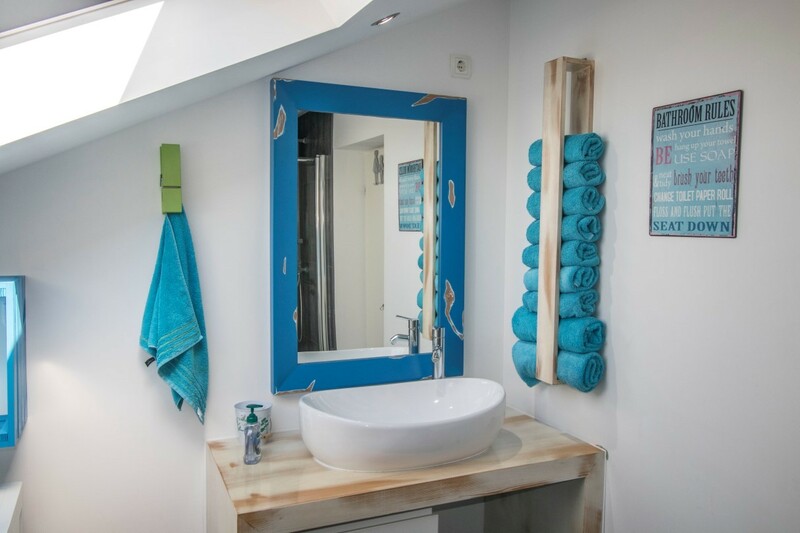 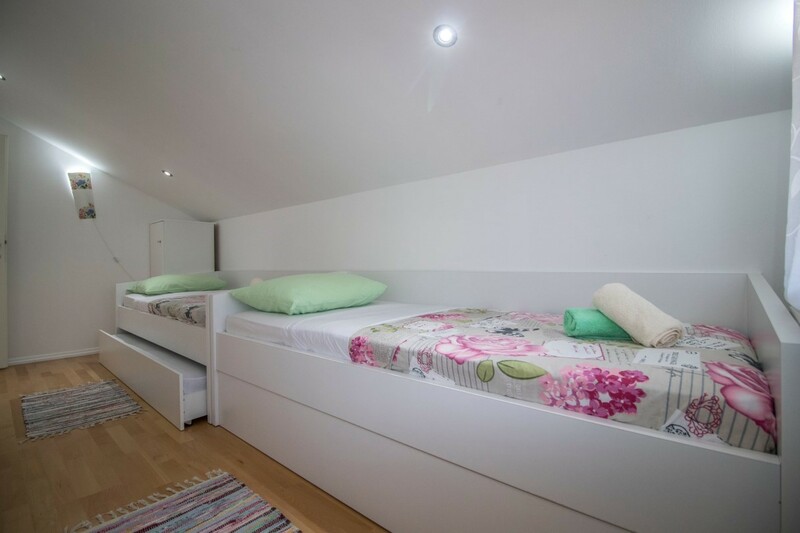 Three double rooms are available to guests, one having a single bed on the gallery and one bedroom with two single beds. 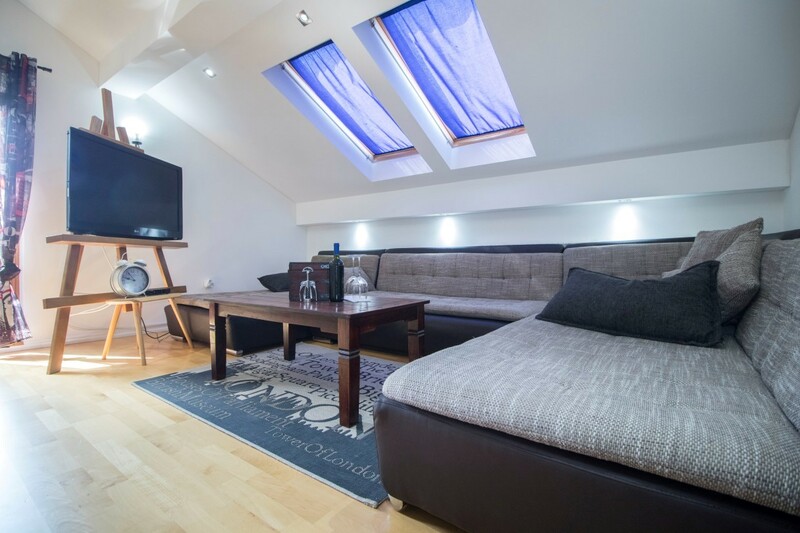 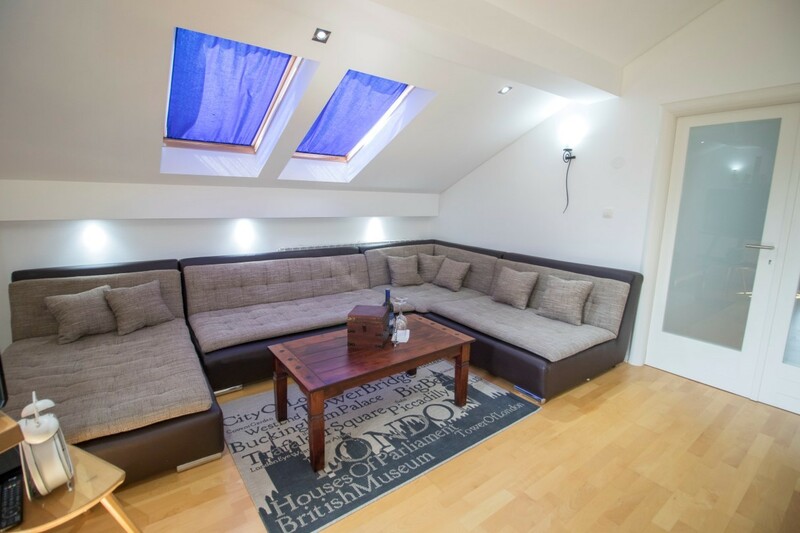 The sofa bed in the living room is intended for two additional guests. 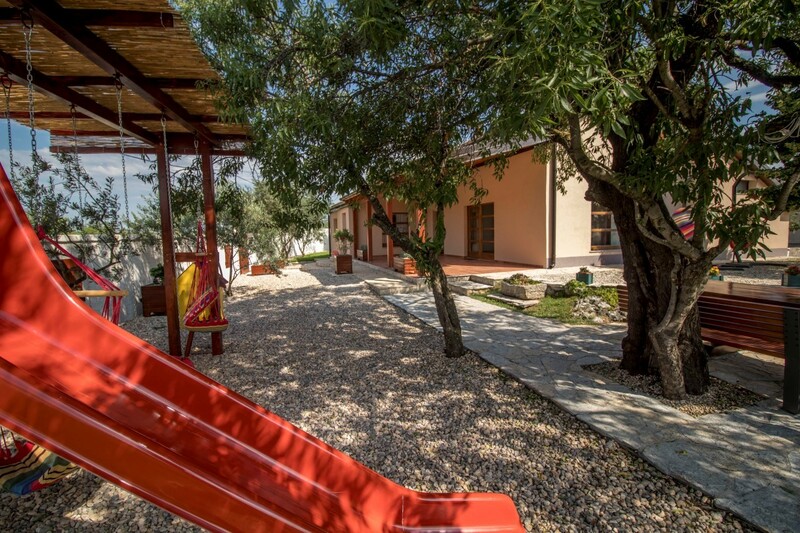 The villa is air-conditioned, has WI-FI and a private parking. 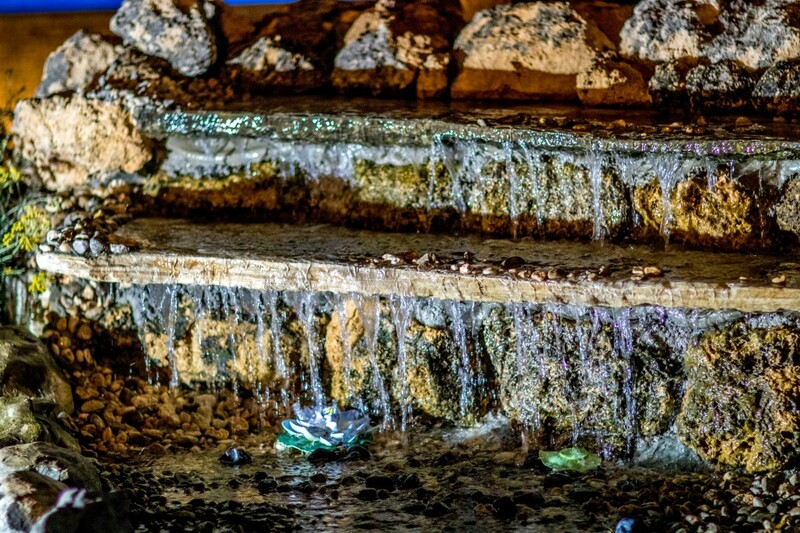 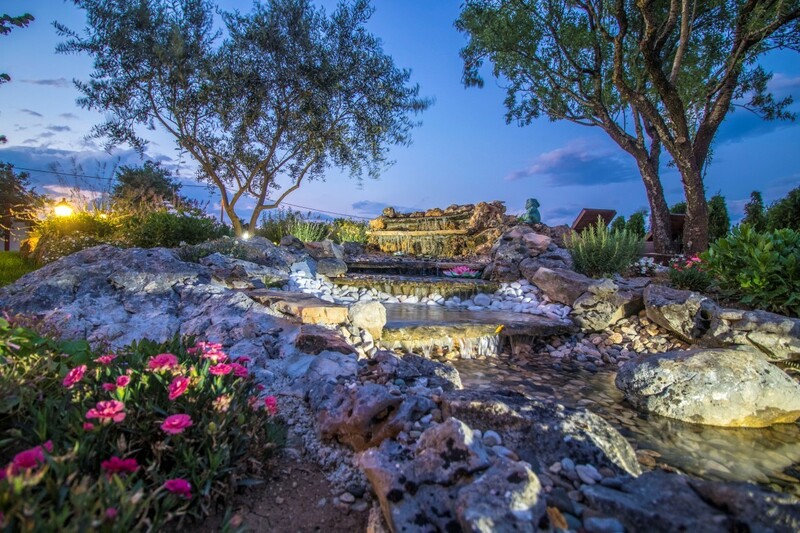 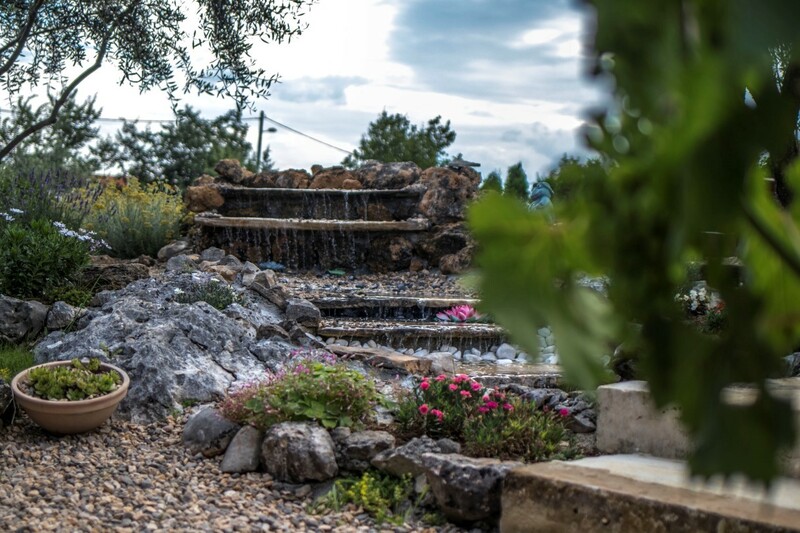 Beautiful details like a fountain make the villa magical… The outside area is truly beautiful with a large garden and a swimming pool for the whole family to enjoy and plenty of seating areas perfect for al fresco dining, preparing BBQ or for simply enjoying a quiet drink while soaking up the tranquil surroundings. 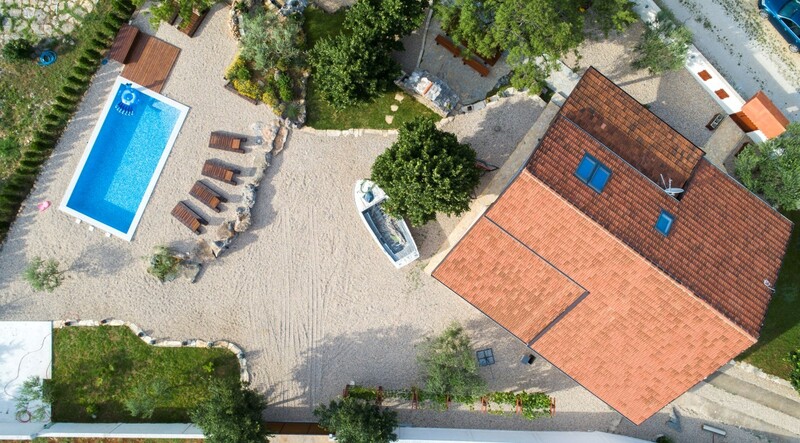 For those who want recreation, there are 5 bicycles available for guests to explore the beauty of the Dalmatian countryside. 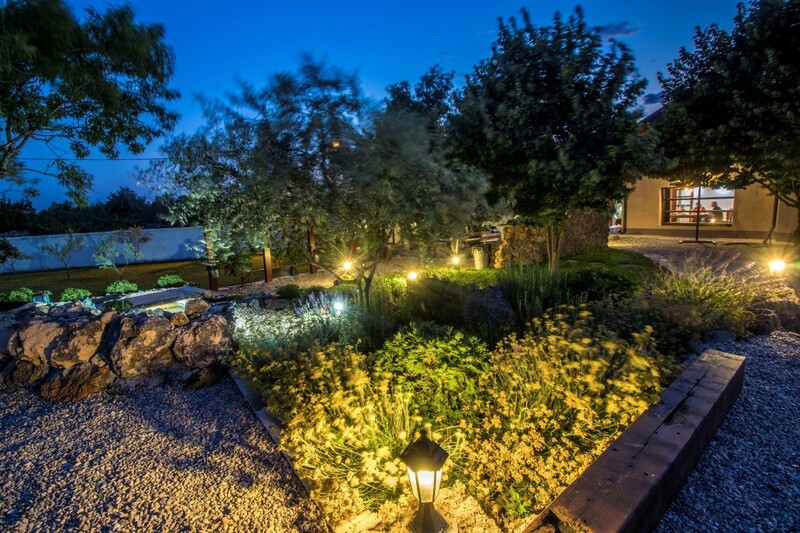 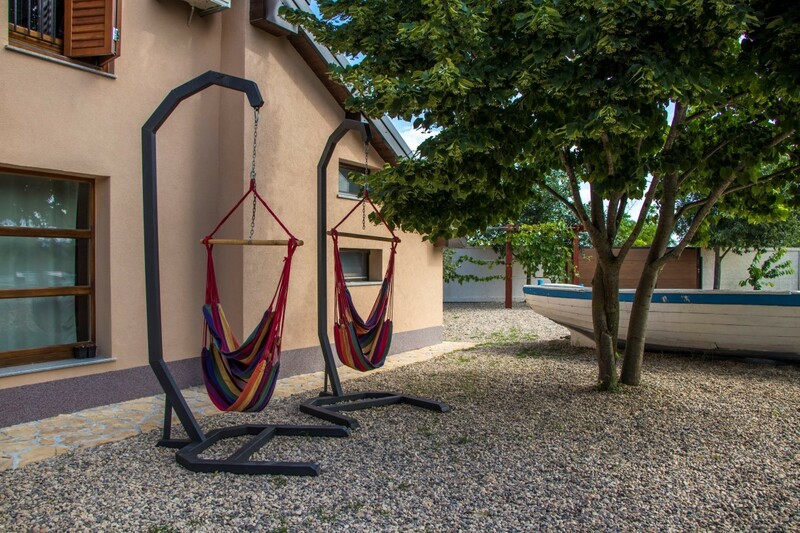 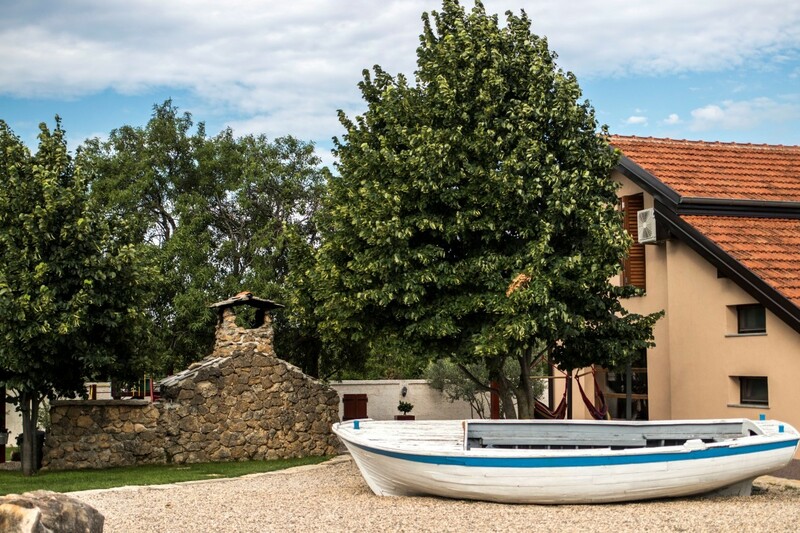 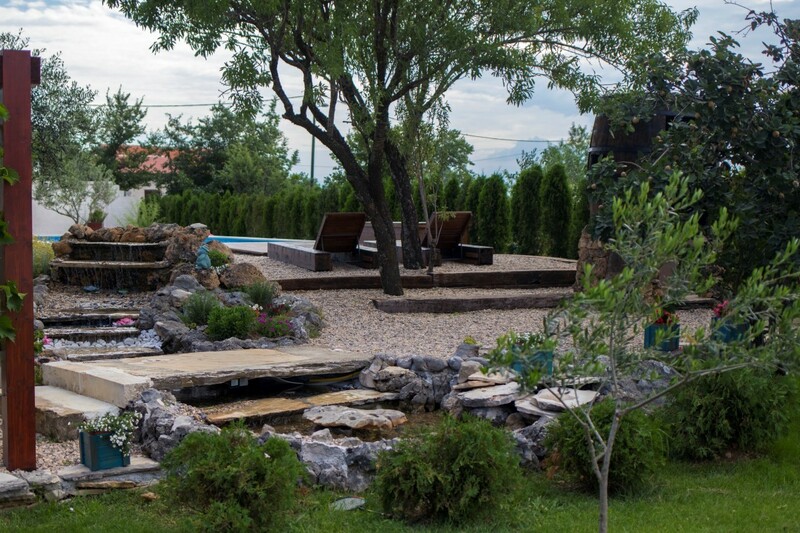 It is the perfect choice for a large family or group of friends who are looking for a relaxing Croatian escape. 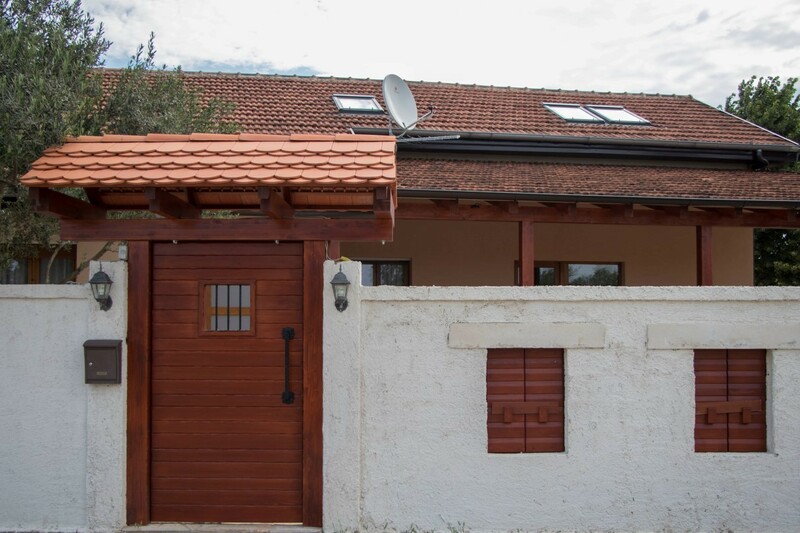 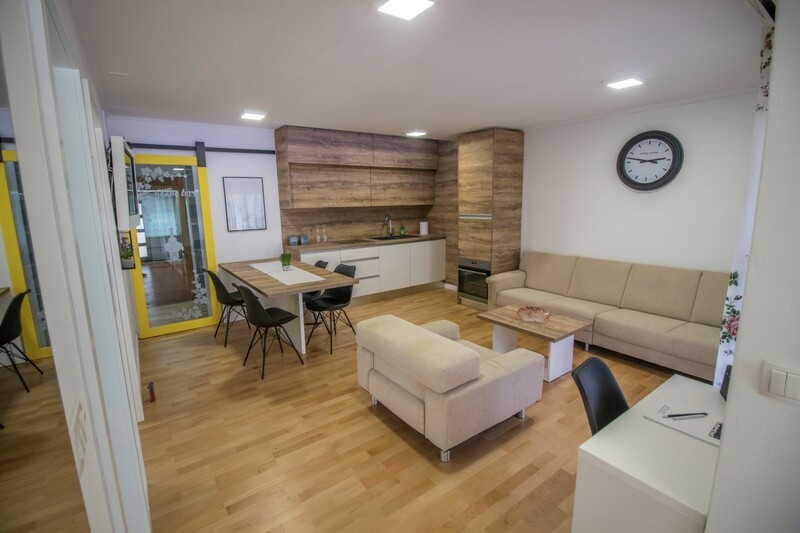 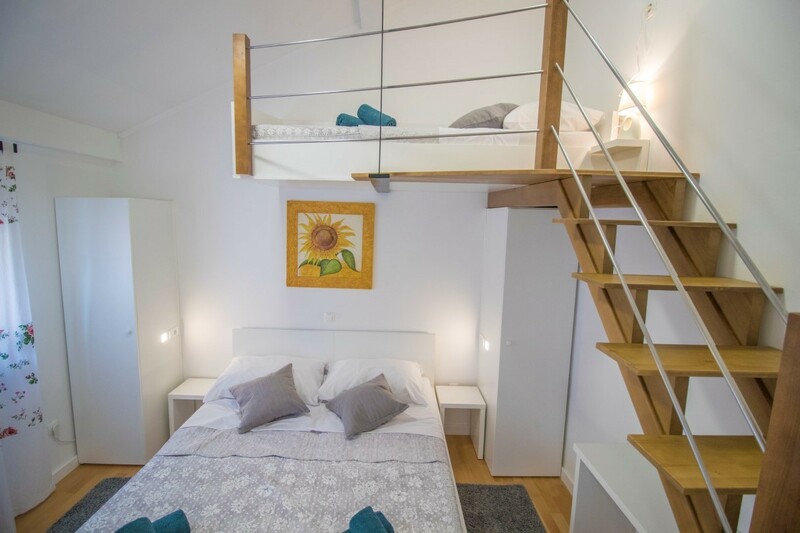 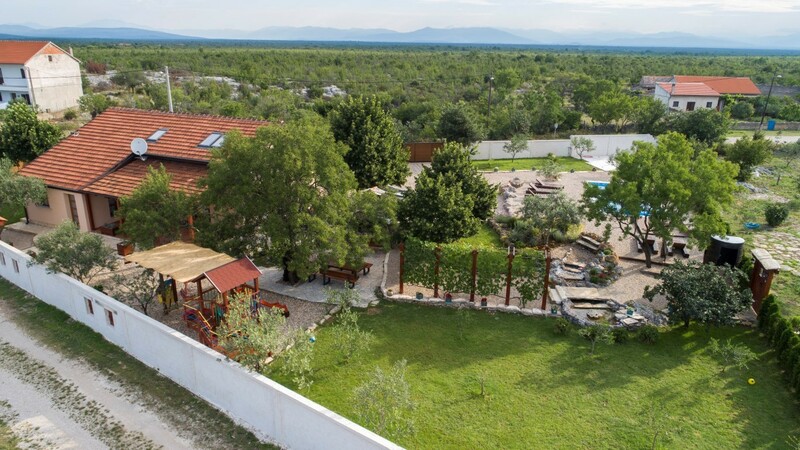 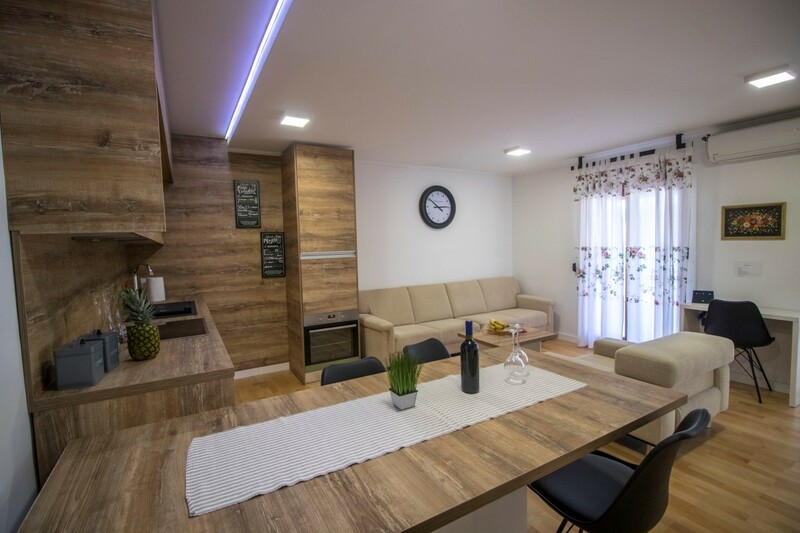 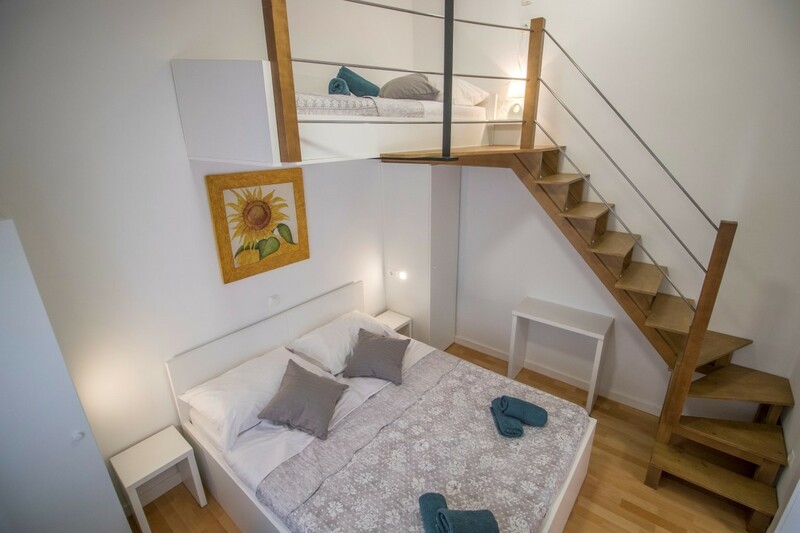 If you would like to visit a lot of famous landmarks in Dalmatia, this is the perfect place for you as it is located near the Krka National Park as well as the historical cities of Skradin and Šibenik.